yesterday we did nothing. nothing at all. 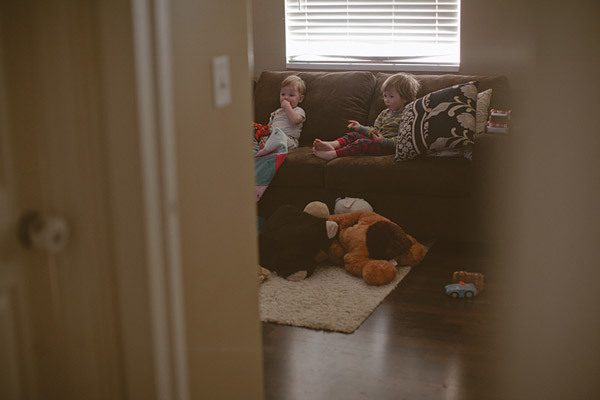 the boys were both sick and so we spent a lot of time being couch potatoes. towards the evening they were showing signs of cabin fever. not fun. so this morning they watched their cartoon, i scratched liam’s back with my hair brush and we got ready to go to the park. it was much needed for all of us; fresh air, room to run, warmth of the sun, it was great. there was another little boy there that tried to talk to oliver. you can’t really explain to another child that oliver has autism and doesn’t speak.. so i don’t. the kids usually just figure he isn’t interested and they leave him alone, which is fine. we play together; growling, chasing, playing ready-set-go. we took the long way back home, as i studied others landscaping in the neighborhood. what looked good, what didn’t look good. trying to get ideas on how to spruce up ours. when we got home we played a little more in the backyard and i started to till the garden to get it ready. once oliver and liam saw all that good dirt being dug up they quickly joined in. and i was happy to see them do so. today is a good day.